The Africa Educational Trust (AET) was set up in 1958 by a group of people with different backgrounds, professions and political allegiances who shared a common commitment to helping people in Africa prepare for independence from colonialism. Many were pioneers in their field and some were still at an early stage in their careers. All went on to achieve lasting fame and recognition. Amongst them were a publisher, a journalist, a number of academics and civil servants and a priest. The priest, the Rev. 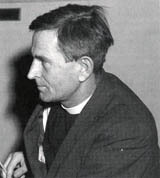 Michael Scott (1907-1983) was the prime mover in establishing the Trust. Scott was born in Sussex but spent many years working in South Africa, where he became a prominent activist against the government’s racial policies. In 1952 the South African Government declared him a prohibited immigrant and Scott was forced to leave the country. Nelson Mandela described him as “a great fighter for African rights”. To the US State Department, he was “a troublemaker”. Back in England, Scott set up the Africa Bureau, an organisation devoted to helping people in Africa gain independence for their countries. The Africa Educational Trust (AET) was formed six years later as an offshoot of the Bureau. It was established specifically to help achieve the aims of the Bureau by supporting education, mainly through scholarships in the UK. Michael Scott’s view was that “Education was the key to the development of a people”. 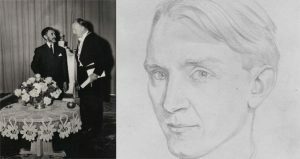 He remained a Trustee of AET until his death in 1983. Sir Alexander Carr-Saunders (1886-1966) was educated at Eton and Oxford and served as an officer in the British Army during the First World War. When AET was founded he was Director of the London School of Economics and Vice Chancellor of the University of London. As Vice Chancellor he had been responsible for establishing colleges and universities across Africa in countries such Kenya, Nigeria, Sudan, Tanzania, and Uganda. 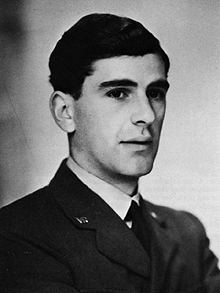 Peter Calvocoressi (1912-2010) was also educated at Eton and Oxford and was an intelligence analyst at the Bletchley Park code breaking centre during the Second World War. He had a lifelong interest in international affairs and joined the Africa Bureau in the 1950s, later serving as its chairman. Calvocoressi became a partner in Chatto & Windus and Hogarth publishing firms and later, after a stint at Sussex University, the Editorial Director of Penguin Books. He wrote twenty books on a wide range of subjects in the course of his lifetime. Kenneth Kirkwood (1919-1997) was born in South Africa and during the Second World War served in the South African Army in Kenya and Somalia. He was the first Rhodes Professor of Race Relations at Oxford, a post he held for 32 years. He established himself as a leading figure in African studies and a campaigner against apartheid. Kirkwood made a lasting contribution to the Pitt Rivers museum and later became the Coordinator of African Studies at St Antony’s College. He was chair of AET from 1987 to 1994. 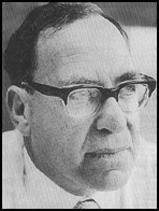 Colin Legum (1919-2003) was also born in South Africa but spent the whole of the apartheid era in exile. He moved to London in 1949 and soon joined the Observer newspaper, as diplomatic editor and Commonwealth correspondent, in effect Fleet Street’s first Africa correspondent. He remained at the Observer for 30 years. Legum campaigned tirelessly against apartheid in South Africa and was a prolific writer on a wide range of African issues. He became recognised as the leading analyst of African political affairs in the UK. He returned to South Africa in 1991 and later settled there, continuing his writing career. 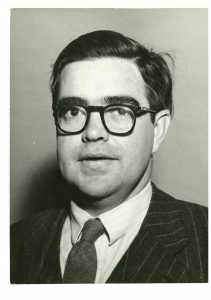 Roland Oliver (1923-12014) was educated at Stowe and Cambridge and interrupted his undergraduate studies to work as a cryptographer at Bletchley Park during the Second World War. In 1948 he took up the first African history post to be established at London University’s School of Oriental and African Studies (SOAS). From there he launched an unremitting struggle to get the history of Africa properly recognised in university history departments. He pioneered a multi-disciplinary approach to African history that put aside imperial adventures and was first and last about the historical experience of Africans themselves. Kenneth Robinson (1914-2005) was born in London and after winning a scholarship to Oxford joined the Colonial Office in 1936. 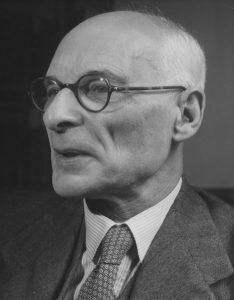 He became the CO expert on French West Africa but left in 1948 to become a fellow at Nuffield College, also holding the post of reader in Commonwealth government at Oxford. In 1957 he became Director of the Institute of Commonwealth Studies in London. Founders of an organisation help to set not only its aims and objectives but also help to define its long-term character and vision. Today, the Africa Educational Trust (AET) still follows the aims and approach set out by its founders and remains committed to working with people in Africa who seek to gain education and to play a full part in their country’s future.